Bright sunny days necessitate sunglasses. Dusty road conditions on various locations are very testy for contact lens wearers. Lens lubricant of eye may not be readily available but not impossible to aquire. Take pleny of eye lubricant and wetting, soaking and cleaning solution. Lens wearers who also use eyeglasses should plan on wearing glasses -rather than lenses- more often to give eyes a break. Hard-soled shoes should be packed for upscale dining or a night out. But you´ll mostly wear rubber-soaled shoes, tennis shoes, hiking boots for interior trips or for volcano climbing. During summer in places like Tikal it´s necessary to protect your skin from the sun ultraviolet rays. Temperes are generally balmy but you´re also exposed to strong rays. Pack plenty of sunscreen.Yours may not be readily available and unfamiliar brand may cause a bad reaction. By now you may know that Tikal is subtropical and includes jungles. And bugs live in jungles, so take along insect repelent. A good pair of binoculars and guide book are invaluable to increase your birding enjoyment. We offer very specialized birdwatching tours around Guatemala. Remember that Guatemala is home to over 700 bird species, including over 400 residents and many regional endemics. We recommend to bring your specialized equipment with you since some specialized supplies might be dificult to find here. Specific kinds of film may be hard to find. Bring extra batteries for your camara along with plenty of film. It´s less of an expense and more convenient to bring your own. Altough in upscale shops you will be able to find any kind of accesory for your camara. You won´t find telephones on every corner on the open road in Guatemala. 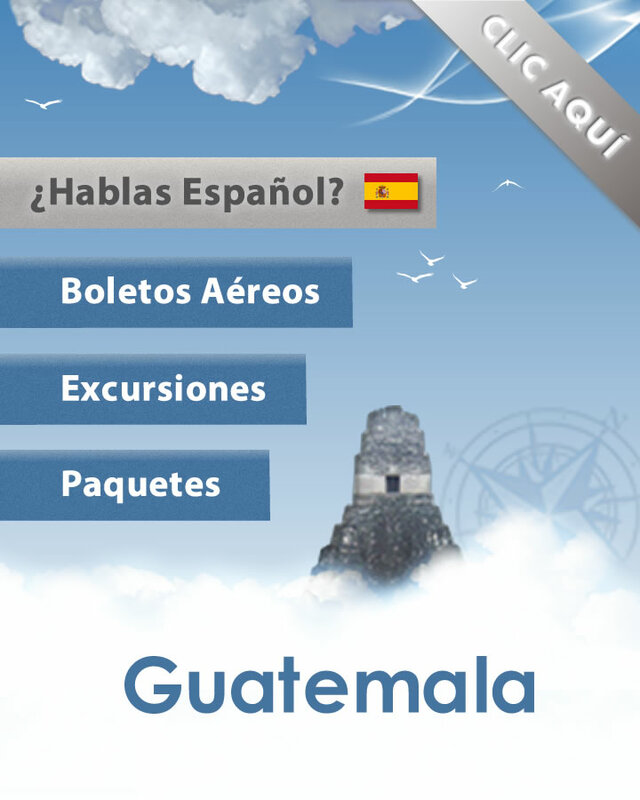 If you plan to rent a car and discover Guatemala at your own pace, it´s smart to rent a cellular phone. It might spare you a headache in the event of a breakdown. In some cases, hotel restaurants may add gratuities to your check. It may not be stated on the menu. By law, smoking is prohibited in small enclosed areas, vehicles, and establishments used by the public, whether they be publicly or privately owned. Take smaller bills when traveling to Guatemala. Change for larger bills maybe difficult at times in certain areas. For more information visit our Guatemala money you will find a useful money converter. Take a small flashlight and water canteen for caving, hiking and adventuring. Photocopy important documents, such as passport, drivers licence, credit cards, prescription medications, airline ticket and other important information. You can find some very useful travel gear here. Always carry essential medications on board and buy travel insurance. We recommend you to buy travel guides and maps before your visit, to get to know more about our history and geography. Check out the digital versions of the guides below, so you can travel light.